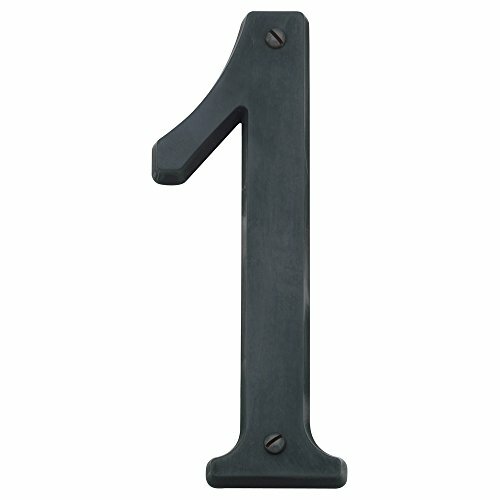 90671.102.CD Finish: Bronze Black, Number: One Features: -Construction: Solid brass. -Applied with truss head wood screws. -Petite size. Product Type: -Letter/Number. Plaque Shape: -Novelty. Theme: -Classic/Decorative. Size: -Petite. Primary Material: -Brass. Dimensions: Overall Height - Top to Bottom: -5". Overall Width - Side to Side: -4.7". Overall Depth - Front to Back: -0.31". 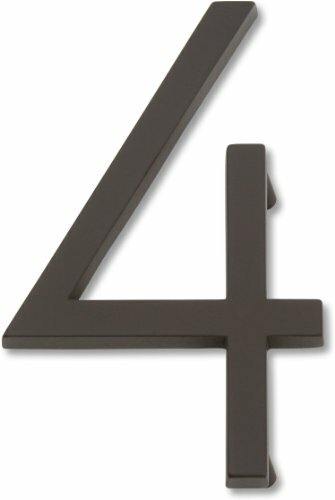 90674.102.CD Finish: Bronze Black, Number: Four Features: -Construction: Solid brass. -Applied with truss head wood screws. -Petite size. Product Type: -Letter/Number. Plaque Shape: -Novelty. Theme: -Classic/Decorative. Size: -Petite. Primary Material: -Brass. Dimensions: Overall Height - Top to Bottom: -5". Overall Width - Side to Side: -4.7". Overall Depth - Front to Back: -0.31". 90675.102.CD Finish: Bronze Black, Number: Five Features: -Construction: Solid brass. -Applied with truss head wood screws. -Petite size. Product Type: -Letter/Number. Plaque Shape: -Novelty. Theme: -Classic/Decorative. Size: -Petite. Primary Material: -Brass. Dimensions: Overall Height - Top to Bottom: -5". Overall Width - Side to Side: -4.7". Overall Depth - Front to Back: -0.31". 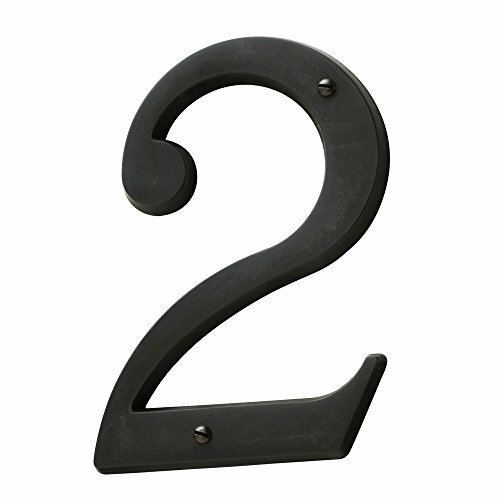 90672.102.CD Finish: Bronze Black, Number: Two Features: -Construction: Solid brass. -Applied with truss head wood screws. -Petite size. Product Type: -Letter/Number. Plaque Shape: -Novelty. Theme: -Classic/Decorative. Size: -Petite. Primary Material: -Brass. Dimensions: Overall Height - Top to Bottom: -5". Overall Width - Side to Side: -4.7". Overall Depth - Front to Back: -0.31". 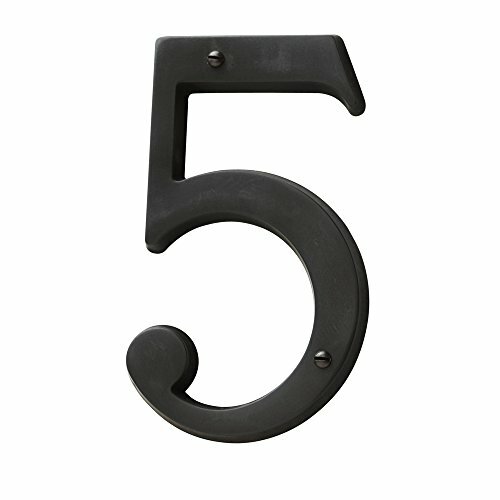 90676.102.CD Finish: Bronze Black, Number: Six Features: -Construction: Solid brass. -Applied with truss head wood screws. -Petite size. Product Type: -Letter/Number. Plaque Shape: -Novelty. Theme: -Classic/Decorative. Size: -Petite. Primary Material: -Brass. Dimensions: Overall Height - Top to Bottom: -5". Overall Width - Side to Side: -4.7". Overall Depth - Front to Back: -0.31". 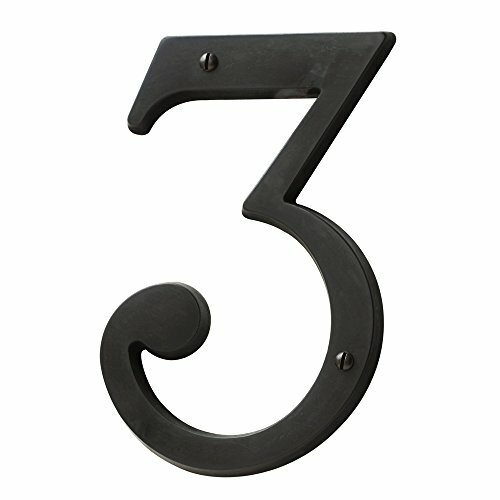 90673.102.CD Finish: Bronze Black, Number: Three Features: -Construction: Solid brass. -Applied with truss head wood screws. -Petite size. Product Type: -Letter/Number. Plaque Shape: -Novelty. Theme: -Classic/Decorative. Size: -Petite. Primary Material: -Brass. Dimensions: Overall Height - Top to Bottom: -5". Overall Width - Side to Side: -4.7". Overall Depth - Front to Back: -0.31". 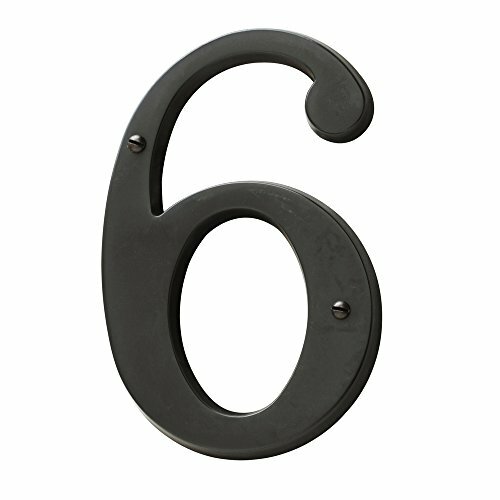 The Modern Avalon House Number Collection will make your home stand-out with style. Since they can be mounted aware from the wall, they appear to float independently and cast shadows upon the surface to which they are affixed. The ethereal illusion is made complete by the absence of visible screws. Modern Avalon is a classic addition to your front door and works equally well on mid-century and ultra modern home styles. No Visible Screws Exposed. 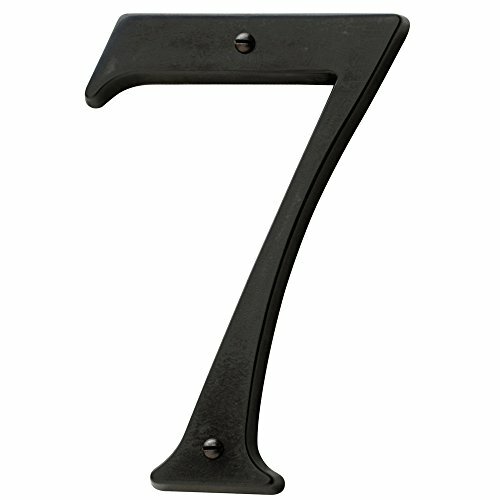 90677.102.CD Finish: Bronze Black, Number: Seven Features: -Construction: Solid brass. -Applied with truss head wood screws. -Petite size. Product Type: -Letter/Number. Plaque Shape: -Novelty. Theme: -Classic/Decorative. Size: -Petite. Primary Material: -Brass. Dimensions: Overall Height - Top to Bottom: -5". Overall Width - Side to Side: -4.7". Overall Depth - Front to Back: -0.31". 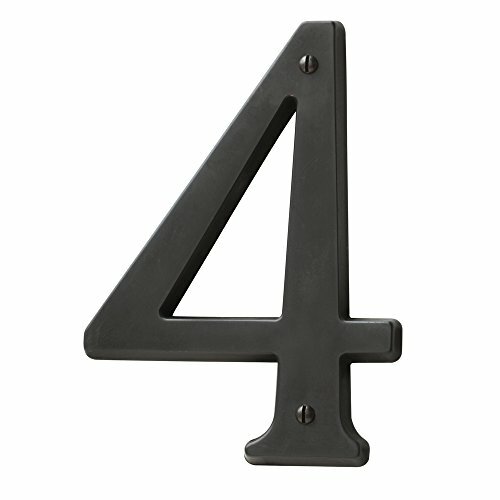 Looking for more Oil Rubbed Bronze House Numbers similar ideas? Try to explore these searches: Winnie The Pooh Suspenders, Grass Fed, and 2005 Ford Five Hundred.